Dubai: Odisha Samaj United Arab Emirates (OSUAE), the largest organisation of Non-Resident Odias in the Middle East and North Africa (MENA) region today felicitated internationally acclaimed flautist – Padma Vibhushan Pandit Hariprasad Chaurasia at Dubai. Master Flautist Pandit Chaurasia needs no introduction. Recipient of the Padma Vibhushan, he has won several accolades across his career, along with composing music for Bollywood films like Silsila, Lamhe, Chandni, Darr etc. He also has several collaborations with international artistes like Yehudi Menuhin, Jean-Pierre Rampal, among others. He also featured on a single by The Beatles, The Inner Light. Pandit Charuasia who was in Dubai for the past few days for a concert has a very strong Odisha connection. He started his professional career in 1957 at All India Radio, Cuttack and can speak Odia fluently. He has built Vrindaban Gurukul, a Gurukul type ashram where he teaches music in the traditional Guru-Shishya Parampara at Bhubaneswar (there is other one at Mumbai). A delegation of OSUAE called upon him and felicitated him. He was briefed about the activities of Odisha Samaj and its tireless work to promote Odisha’s culture, tradition, music and handicrafts across the globe. Pandit Chaurasia was very impressed with the activities of the Samaj and congratulated them on their noble endeavours. Pandit Chaurasia recalled his long association with Odisha. According to him ‘this land has nourished my soul and nurtured my spirit’. Panditji said he considers himself to be an Odia and is proud of his association with Odisha. 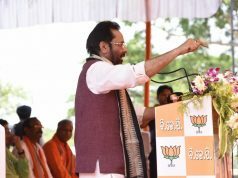 He was particularly thankful to Late Odisha Chief Minister Shri Biju Patnaik who had promised him some land to set up his Gurukul in Bhubaneswar. 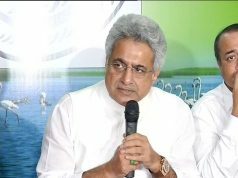 On his passing away, he was very happy when the current Chief Minister Shri Navin Patnaik, upon being reminded of his late father’s promise, immediately allotted a very nice piece of land to Panditji for establishment of his Bhubaneswar Gurukul. Panditji mentioned that Bollywood Superstar Amitabh Bachchan inaugurated the gurukul in Bahubanewar in March, 2010 in the presence of Smt. Jaya Bachchan and Chief Minister Shri Navin Patnaik. 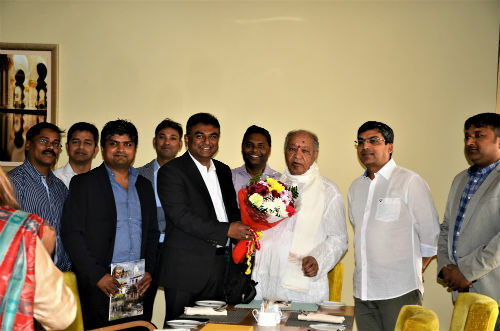 Panditji had a freewheeling chat with the delegation which comprised of Prominent Odias from UAE like Captain Soumya Ranjan Patnaik, CEO of Tata Shipping and Patron of Odisha Samaj of UAE (OSUAE), Shri Amiya Kumar Mishra President OSUAE, Shri Priyadarshee Panigrahi Vice President OSUAE, Shri Pritish Ranjan Dash, Jt. General Secretary, OSUAE Shri Rajat Rath Jt. 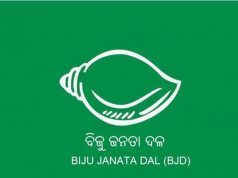 Treasurer OSUAE, Shri Nirlipta Mohanty Jt. PR Secretary, OSUAE Shri Abani Patnaik PR Secretary – Digital Media OSUAE and Shri Sambhram Pattnaik Jt. PR Secretary Digital Media, OSUAE. Panditji also talked about his association with late actress Sridevi. He recalled an interesting anecdote about her when, she after listening to ‘rang barse’ song from Silsilaa where Amitabh Bachchan had sung himself, requested him to make her sing her own song. Panditji gave her a chance in the movie Chandini and the rest as they say is history. The meeting ended with Panditji expressing his desire to come back to the UAE and perform for the OSUAE and its members. He also gave his blessings and best wishes for the upcoming Utkal Divas function in Dubai on the 13th of April, 2018.